In order for manifestation to work, you need to be in a state of deep relaxation. The best times for this are right before you go to sleep at night and just as you are waking up in the morning when your brain is naturally in a theta state. This is the optimal time to listen to your recorded intentions. Start by sitting quietly and connecting with your deeper self in whatever way you choose. Once you are focused on that vibration of inner wisdom, turn on your relaxation script recording and follow its instructions. Let your body unwind one part at a time, from your face down through your neck, to the tips of your fingers and your toes. Breathe deeply and peacefully, filling yourself up with love and gratitude. This process, together with the music, will move you into a deeper state of physical and mental ease in which your subconscious is much more receptive. Once you are in a state of deep relaxation, though not sleeping, play your recorded intentions. Breathe deeply as you listen, as this will continue to attune your personal vibration to the music and the energetic quality of your intentions. Keep your mind relaxed—this is not a time to be thinking about those intentions or trying to figure out how to achieve them. Just absorb the vibration of the words and the emotions, and breathe out your love and gratitude to the Universe. 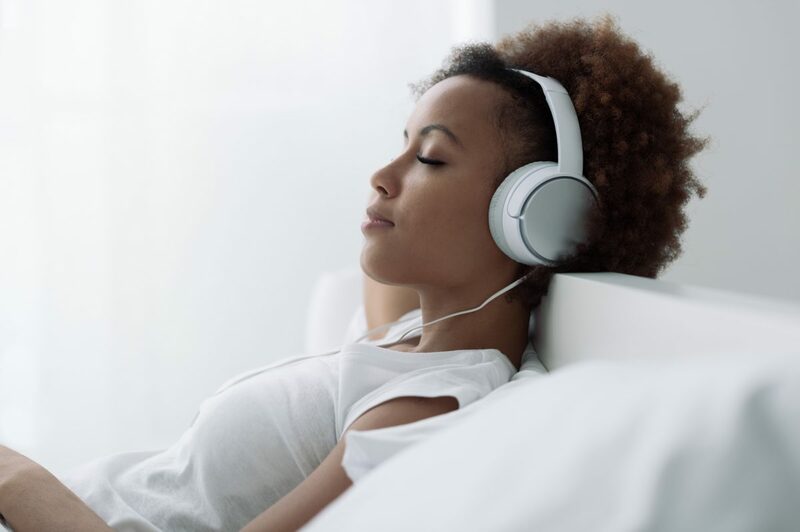 In addition to listening to the intentions morning and night, as many times as you want, you may want to play them at other times of day, such as when you are driving in the car or taking a walk. Interestingly, brain researchers say that driving is one of the activities that can move us into a theta state because it is a skill we perform unconsciously. You may also want to try putting your recorded intentions on repeat and allowing them to play while you fall asleep and through the night. If you sleep with a partner, you will need headphones for this, of course. As you move through the theta state of REM sleep into the delta state of deep sleep, perhaps your intentions will imprint themselves even more deeply upon your subconscious and the universal consciousness to which it connects. What is happening as you are listening? The frequencies of your emotionally powerful and clearly proclaimed intentions reprogram your subconscious mind to be a more loving, powerful reflection of who you truly are. They remove the limiting beliefs of the past and to align you with the new reality of your intentions. Once your subconscious mind and your heart are aligned, the frequency of your intentions, combined with your heart and mind energy, is going out in waves into the universe and reorganizing the atoms of the universe to shift reality. Excerpted from The Creation Frequency by Mike Murphy with permission of New World Library. Copyright © Mike Murphy, 2018. 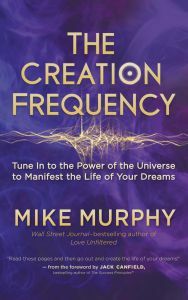 Mike Murphy shows a simple yet powerful method to tune in to the vibration at the heart of the Universe —the Creation Frequency— and use it to create lasting fulfillment, prosperity, and happiness.